Can new football leagues be competitive? Slumping ratings and controversy around concussions and national anthem protests aren't the only problems facing the NFL now. The NFL is going to have some competition in the form of at least two new professional football leagues! XFL teams will be sharing cities (and in some cases, stadiums) with NFL teams. I understand that the XFL would want its teams to be in large markets, but I'm surprised that every single one (except for St. Louis) is a city that already has an NFL team. So the XFL's teams will be competing with a firmly-established NFL team for fans and ticket sales in all but one of the XFL's inaugural cities. In fact, three of these teams will have to share a stadium with an NFL team. 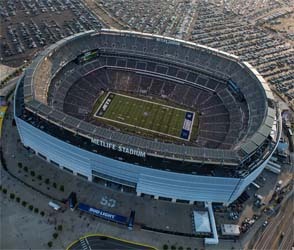 Metlife will be split between the New York XFL team, and the Jets and Giants of the NFL. 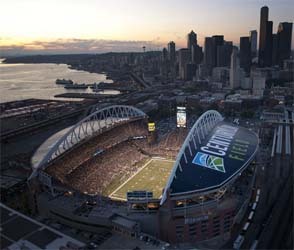 CenturyLink Field will be shared with the Seahawks, and Raymond James will be shared with the Buccaneers. I was expecting the XFL to go after the largest markets that didn't already have NFL teams. Cities like St. Louis, San Diego, and Oakland were shoe-in destinations, in my mind, since they recently lost NFL teams, and so have empty, NFL-caliber (sort of) stadiums waiting for a new tenant. Other than that, I was expecting to see the XFL go to places like Milwuake, Oklahoma City, Portland, Albuquerque, Boise, Honolulu, and other midsize markets. Las Vegas would also be a prime target, if not for the Raiders moving here in a year or two. The XFL also could have tried to beat the NFL to some foreign markets, such as Toronto, Vancuever (Canada), Mexico City, or London. And if it were absolutely necessary to go into cities that already have NFL teams, I would have expected them go after cities that have historically bad or under-performing teams in the hopes of stealing away some disenfranchised fans. Tampa Bay certainly fits this bill. I was also thinking of places like Cleveland, Detroit, Pheonix, and Jacksonville. I'll admit that I was actually excited by Vince McMahon's announcement of an XFL revival. McMahon's statements so far have indicated that he is taking the league much more seriously this time around, and that it won't be as much of a gimmicky joke. According to early reports, McMahon wants the league to be faster. He wants to reduce the game time from three-or-more hours to about two hours. How he plans to accomplish this is still not entirely known, but my guess would be that he could achieve it through a combination of shortening quarter lengths (to 10 or 12 minutes), reducing the play clock from 40 seconds (in the NFL) to 25 or 30 seconds (closer to NCAA rules), eliminating some clock stoppages (by not stopping the clock for incomplete passes, for instance), or by slowing down the game by making the rules favor running the ball rather than throwing the ball. This last one seems unlikely, as I'm sure McMahon wants the game to be more exciting, and most fans are not like me, and do not enjoy seeing long, methodical, ground-and-pound drives. The new XFL will be devoid of some of the original's excess and theatrics. McMahon will own and finance the league this time around, rather than the World Wrestling Federation (now the WWE). This new XFL is expected to eliminate a lot of the silly, pro-wrestling-inspired theatrics that plagued the original XFL and turned that league into a joke. Players with criminal records will not be allowed to play, and they won't be able to create silly names for the backs of their jerseys (no "He Hate Me" as a player name). It's really getting hard to imagine Marvel and Disney ever genuinely screwing one of these movies up. I keep expecting that the next Marvel movie is going to be the one that finally breaks the camel's back and brings the whole enterprise crashing down. It's getting increasingly difficult to trust or like Disney as it grows into even more of a massive corporate conglomerate that keeps devouring and controlling pop culture media. From its virtual monopoly on childhood fairy tale and story-book imagery, to its ownership of cultural touchstones like Star Wars, to its success with Marvel, to its plans to purchase Fox's film studios and all the properties therein (Alien vs Predator vs Guardians of the Galaxy, anyone? ), Disney is growing scarily large and powerful and owns far too much of our shared pop culture. Heck, Disney also owns ESPN and therefore has a controlling stake in how our non-fiction cultural entertainment is presented to us as well! This gives the Disney Corporation a potentially-dangerous, unprecedented influence on the world's collective cultural consciousness. After the Fox buy-out, Disney and its subsidiaries could own up to 40% of every movie that comes to theater screens, and the studio's growing monopoly on blockbusters could translate to a virtual monopoly in cinemas in general. With so much theater revenue coming from Disney movies, theaters are forced to accept distribution deals that are increasingly one-sided in Disney's favor. Because of all this, I find myself actually hoping to a certain degree that Disney and Marvel finally screw one of these up and release a flop of Batman v Superman proportions. I keep hoping for its tightening grip on cinemas to loosen and allow other competitors to finally step up and put Disney in its place. Once again, that hasn't happened. 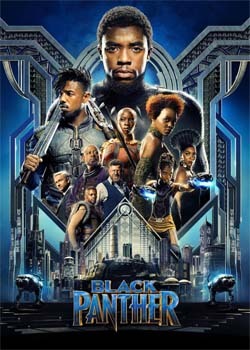 Black Panther expertly straddles several different film genres. Most obviously, it's a comic book superhero movie (d'uh). But it's also a very mythological movie, and also sci-fi futurism (from a rarely-seen Afro-futurist perspective). 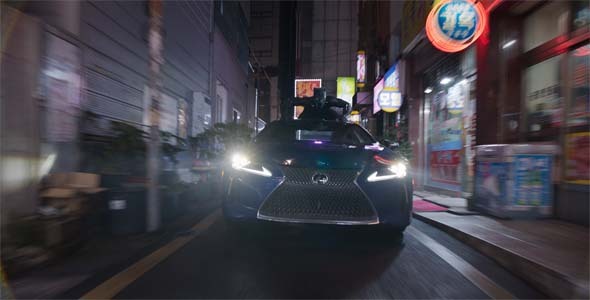 And there's a large spy thriller chunk in the middle that could have been pulled straight from a James Bond movie, complete with a Q stand-in reviewing the hero's new gadgets, and culminating in a super-powered car chase through an exotic foreign city. There's also a Shakespearean bent that comes from the themes of living up to one's father's legacy, dealing with a monster of your own making, and noble intentions going awry. It all works pretty well, with only a few minor stumbles. Part mythologic super hero story, part sci-fi futurism, part James Bond spy thriller.